The benefits to renting Unit #1505 is the fact it is close to many activities, but far enough away from the crowds of folks on the beach during Spring, Summer and Fall breaks. Seychelles is only 15 mins away from Pier Park Shopping and Eating places and the County and City Piers. You're just down the street from St Andrews State Park, and hiking areas. You will love the location. Publix and Winn Dixie stores are just moments away on Thomas Dr, as well as nice upscale restaurants, and also hamburger "hangouts". Schooners restaurant with live music is right next door. Chubby's Hamburgers and Wings restaurant is new and has the best onion rings you've ever tasted and just west of the condo. Wicked Wheel restaurant on Middle Beach Rd (Hutchison) has the best fried chicken you've put in your mouth. Patches is east with terrific hamburgers. Order an egg on top, and it makes a tasty meal. Of course, Captain Jack's Buffet is just west of the condo, and has excellent "all you can eat". You will find the best fresh seafood in every restaurant. Lots of golfing and many different activities available. There's a large water park, Shipwreck Island, within just 15 -20 mins, of course depending on traffic. Hwy 98 (Back Beach Rd) is the best way to travel up and down the beach if you don't mind that you're not driving close to the beach. Large balcony, Middle stack unit with largest balcony. Sliding doors from Master bedroom and Living Room. My family spent last week in Panama City Beach at Ken's property. It is in a good location which is just close enough to all the activities but just far enough away from the chaos. The condo was clean and had all the amenities my family needed. There were six of us and we had plenty of space to sleep. The building itself always had sufficient parking, a nice heated pool, and access to a nicely kept beach. We would certainly stay at this facility again. 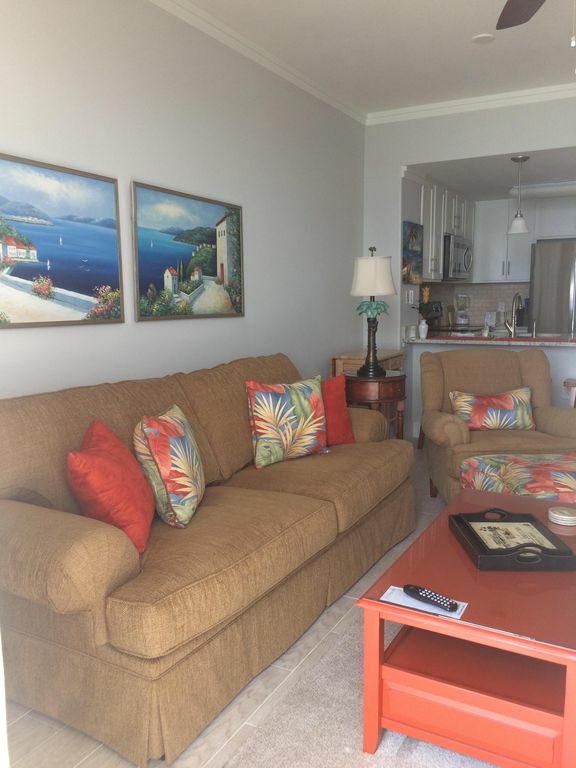 Beautiful condo with all we needed for a great beach vacation! Seychelles is so nice since it’s at a quiet end of the beach. We’ve come here for several years and plan to come back many more. Thanks for another great beach vacation with family! Great condo with a great host! Ken is awesome! Very nice condo. Updated. Clean. Large balcony with geogous views. Owner very friendly and easy to contact with any questions. Will definitely stay again!!! Great condo and view of the beach. It was close to several restaurants and our room was amazing. We absolutely loved the condo. It was newly remodeled and had all the comforts of home. Incredible. We will definitely stay again!